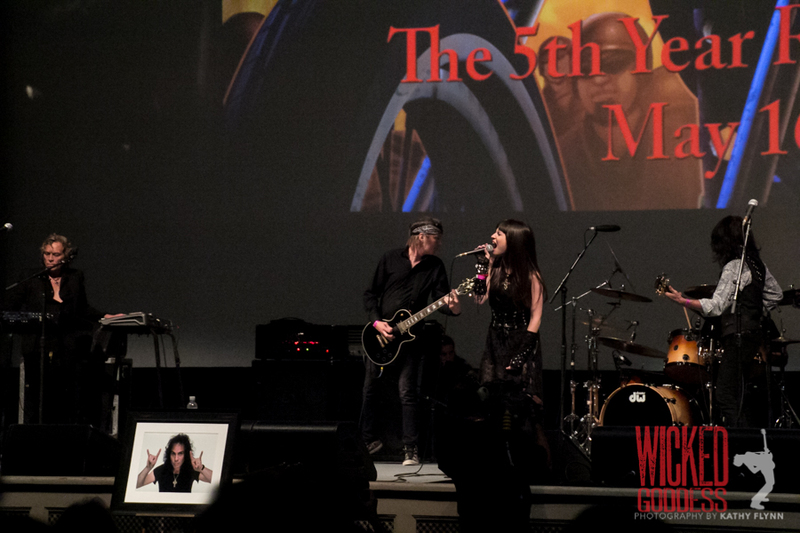 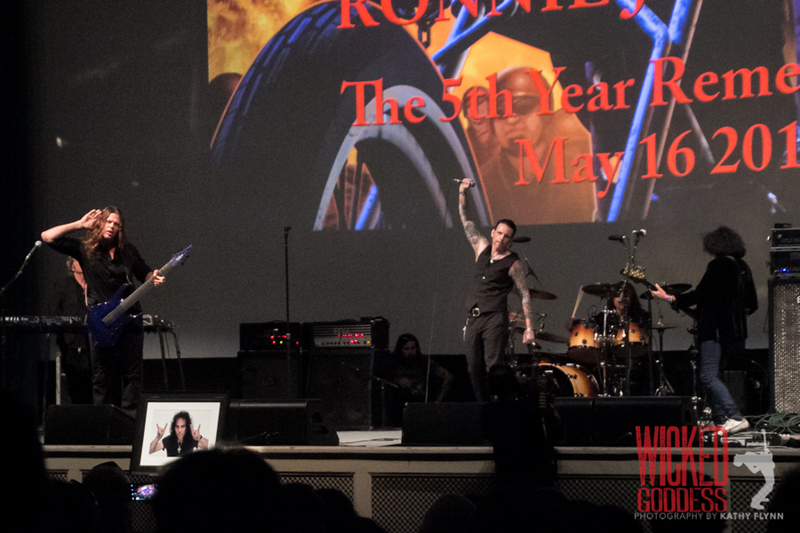 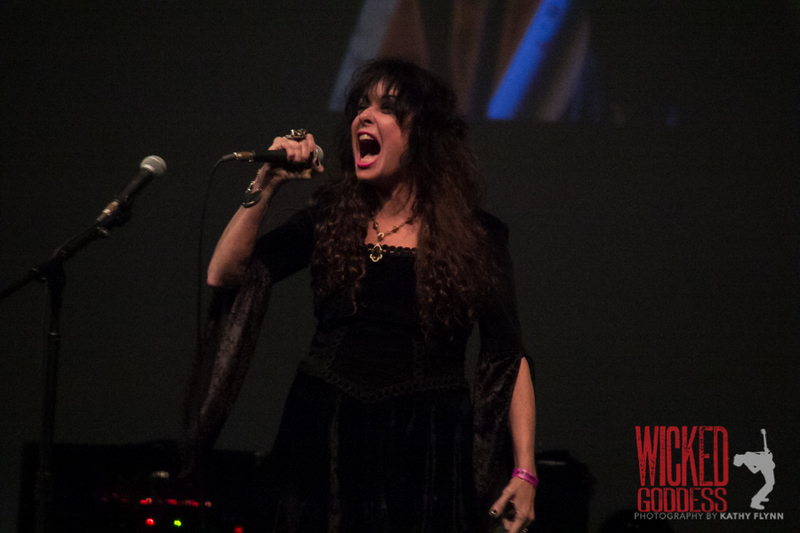 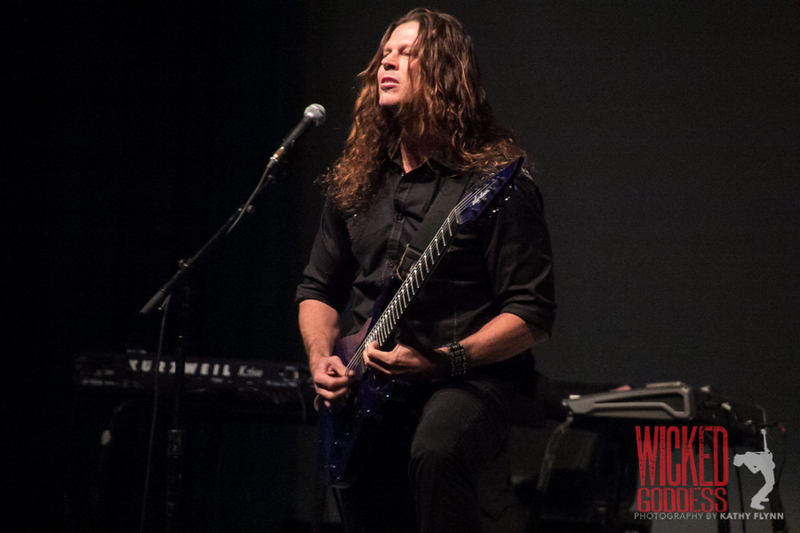 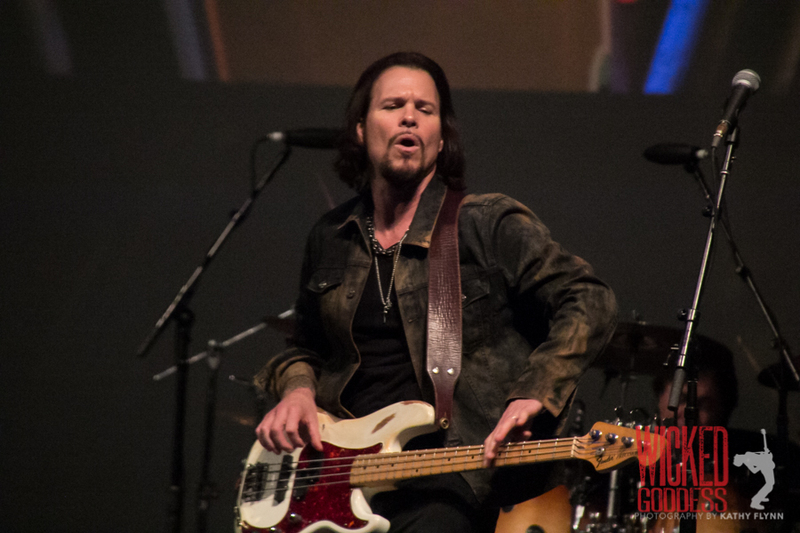 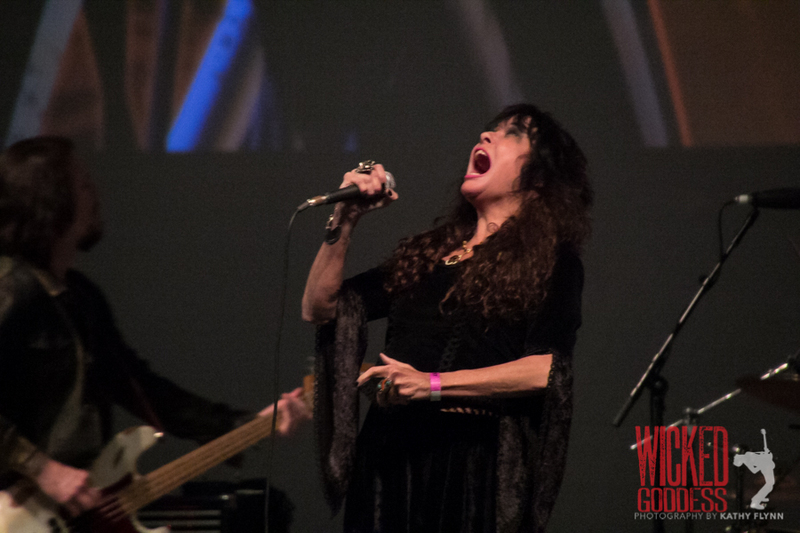 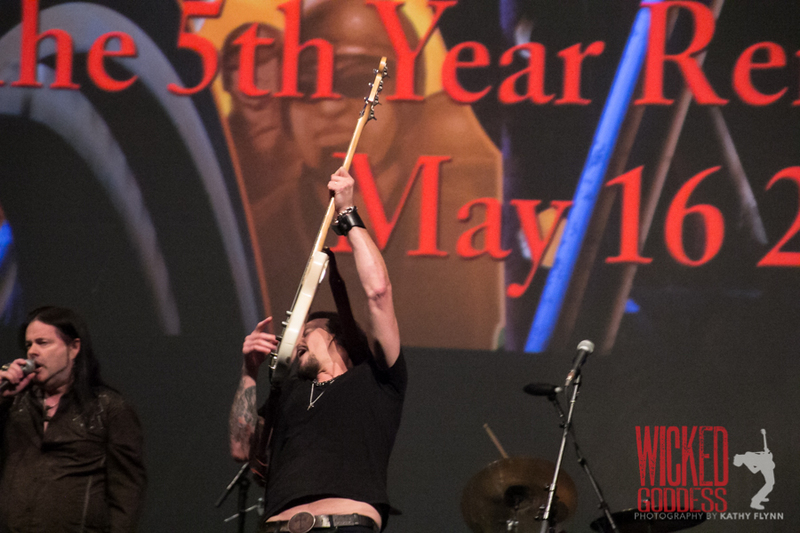 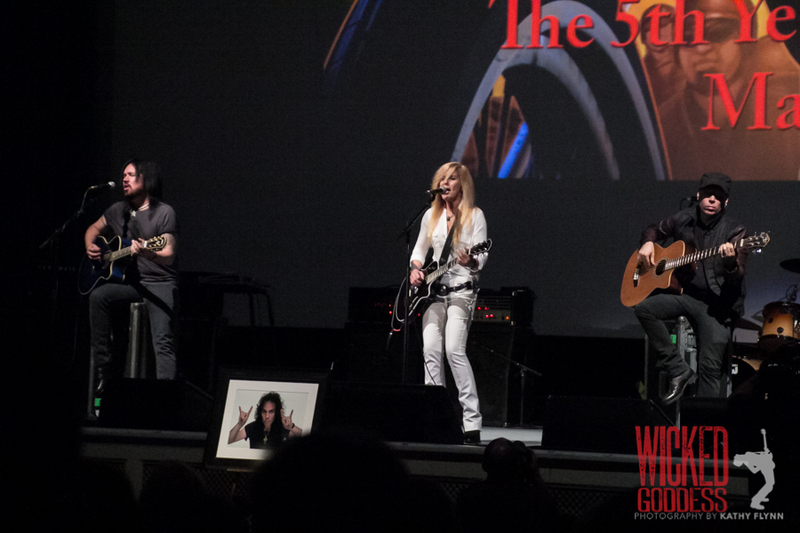 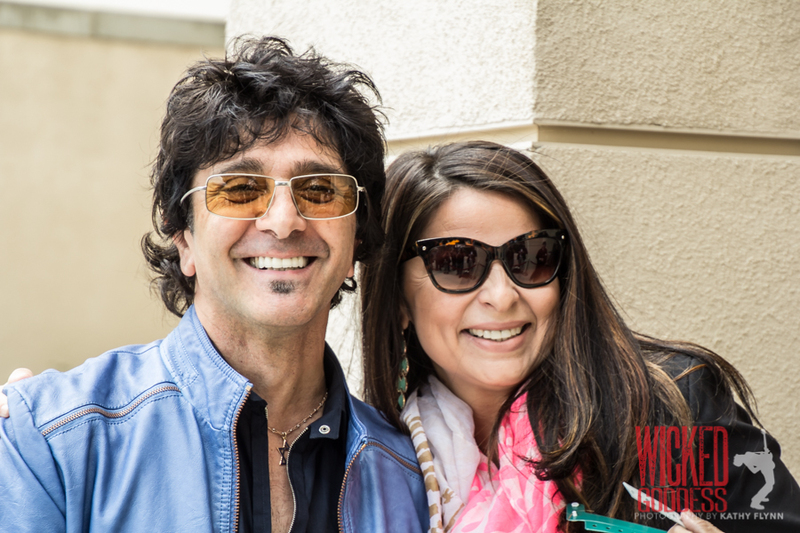 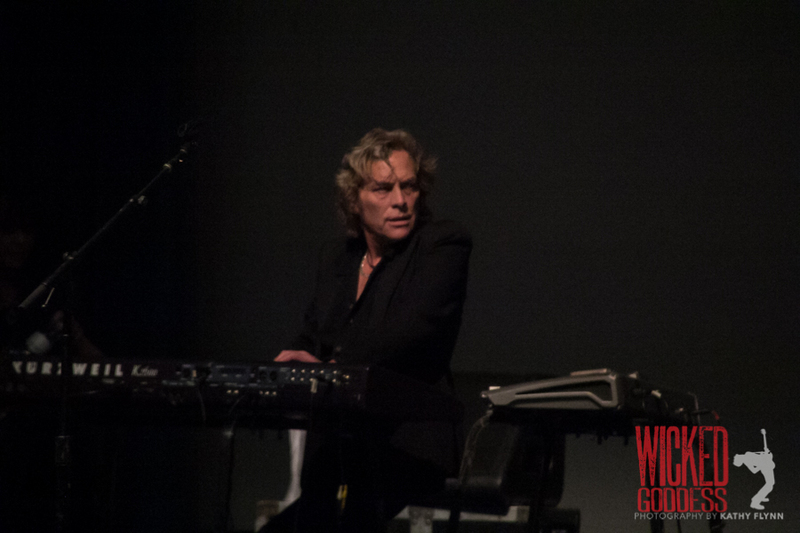 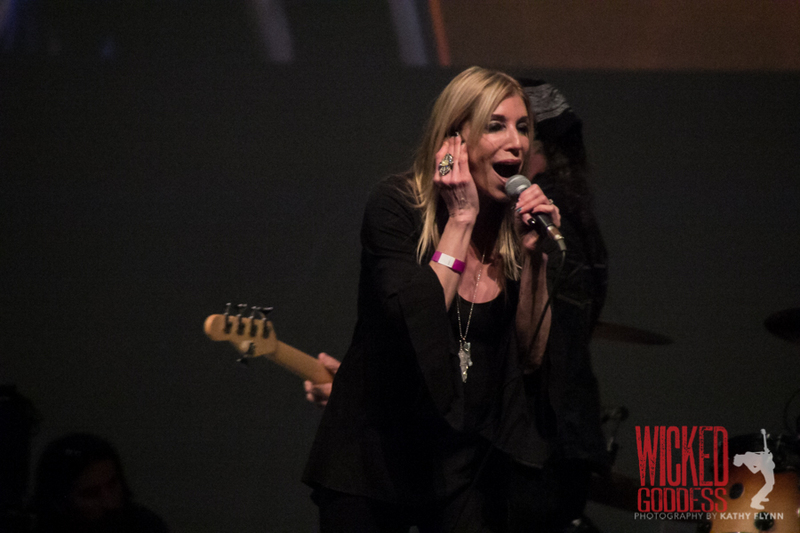 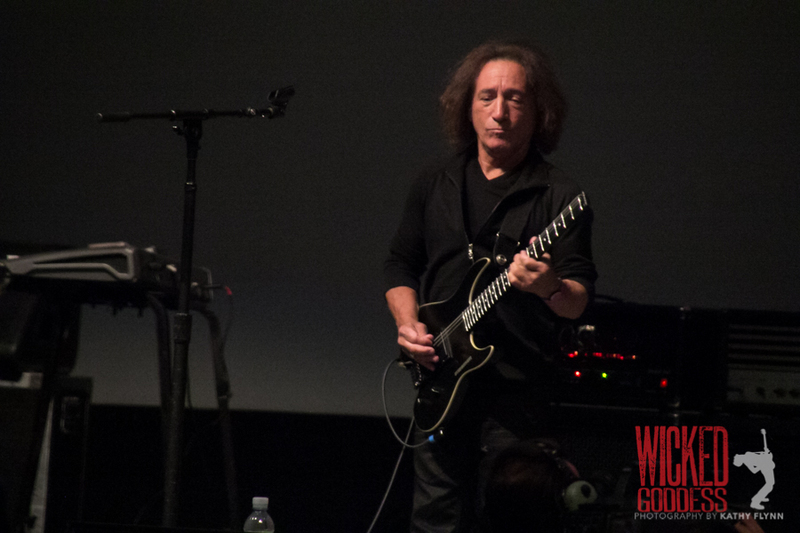 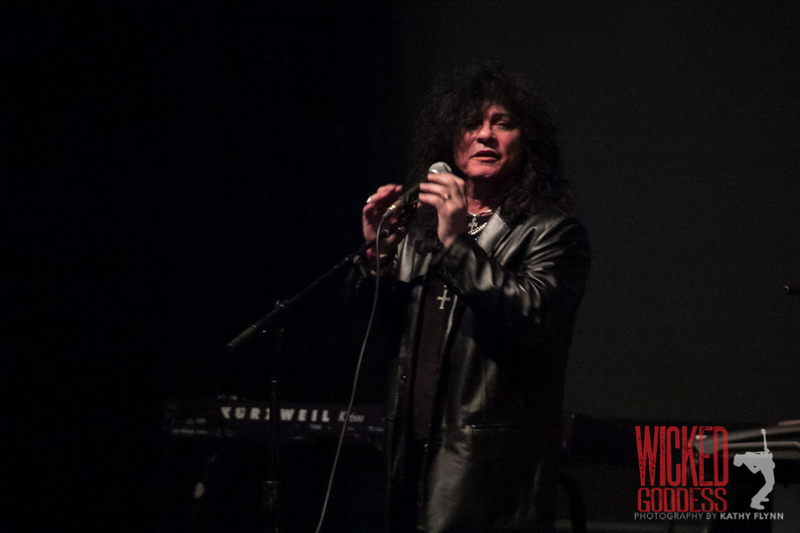 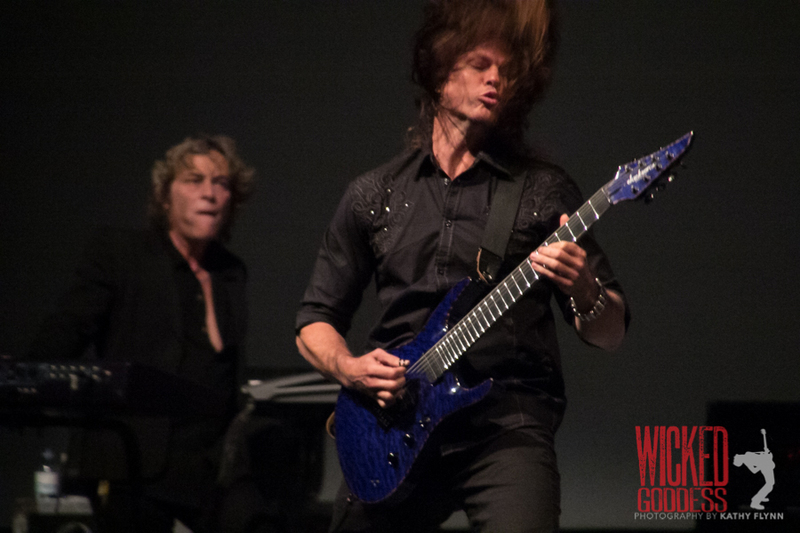 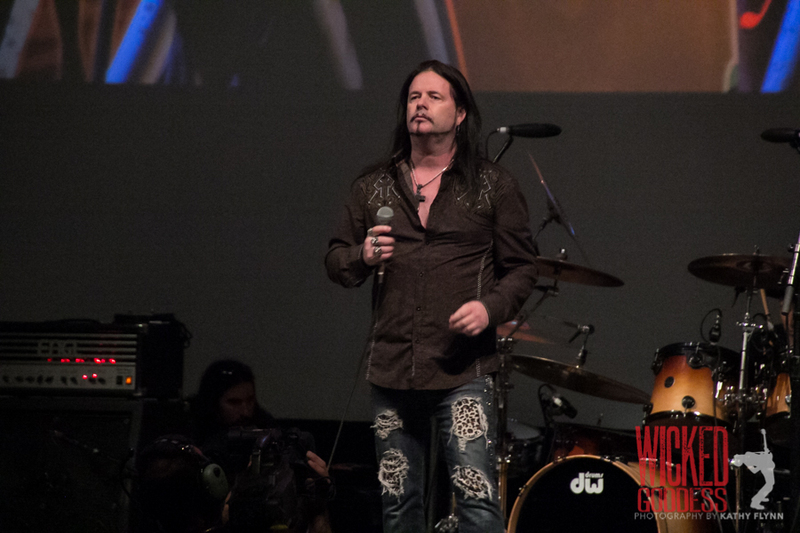 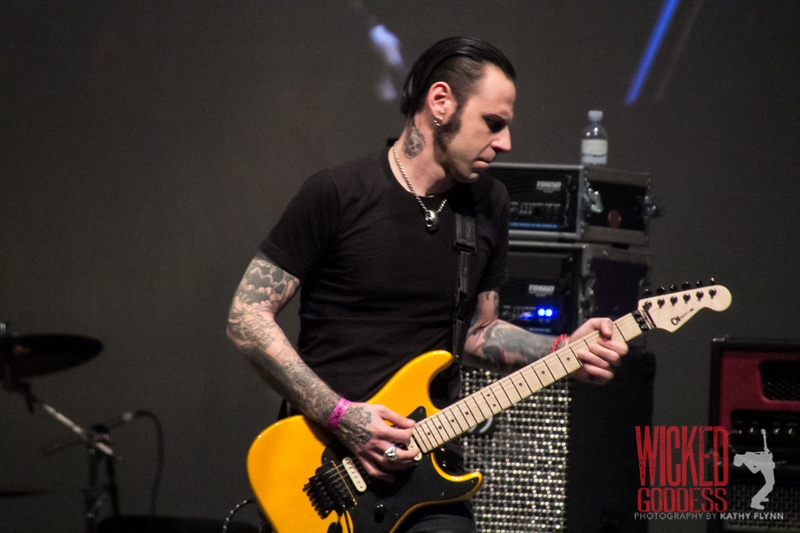 The Ronnie James Dio 5th Anniversary Remembrance was a moving tribute featuring all-star performances while showcasing the humanity and kindness of Dio himself. 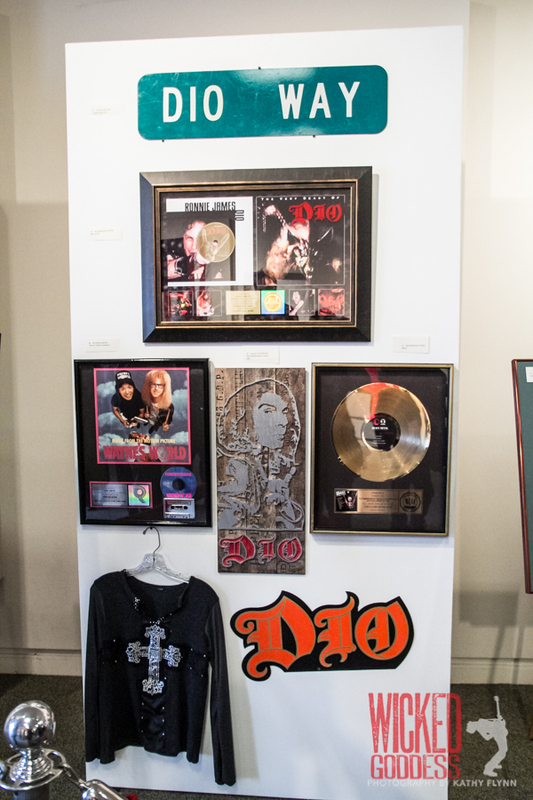 May 16th was the 5th anniversary of Ronnie James Dio‘s death, caused by stomach cancer. 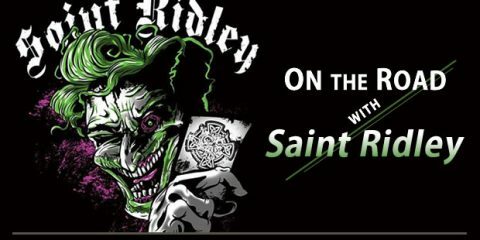 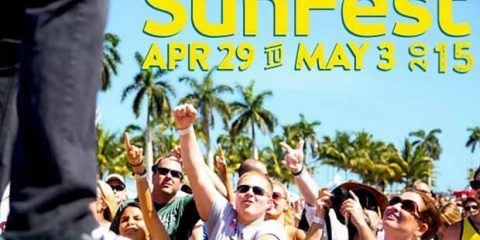 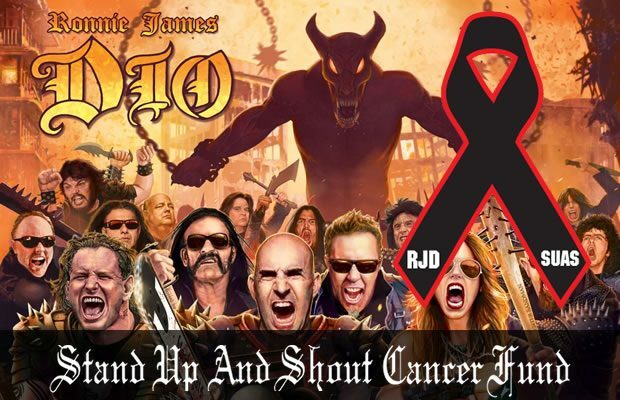 To memorialize the man, the Ronnie James Dio Stand Up and Shout Cancer Fund has staged three days of celebration featuring a bowling tournament, memorial service, and a ride for Ronnie. 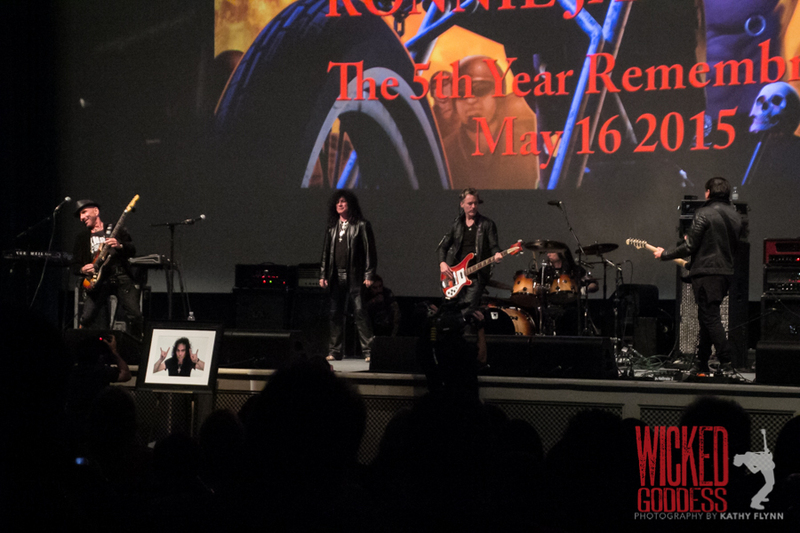 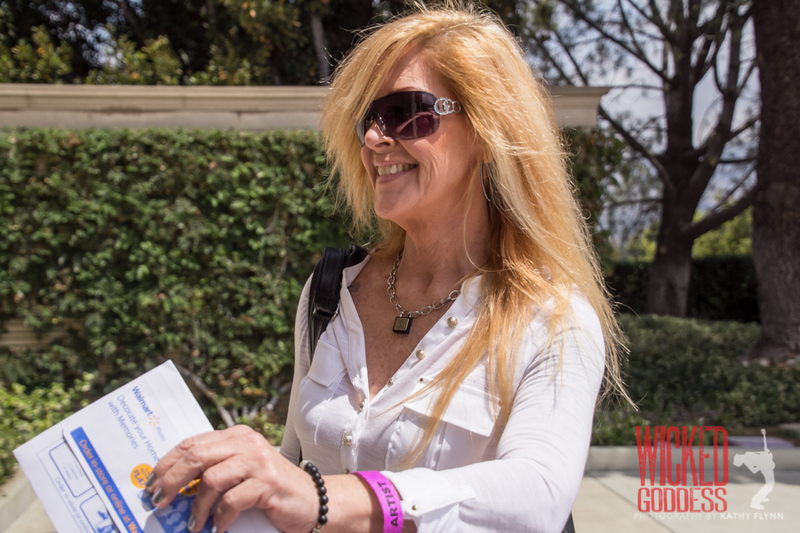 The Memorial Service was held in the Hall of Liberty at Forest Lawn cemetery in the Hollywood Hills, where Ronnie is buried. 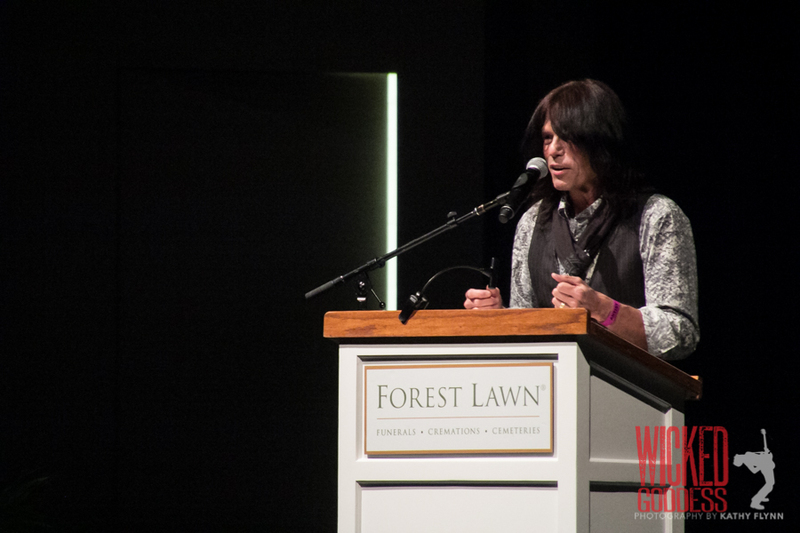 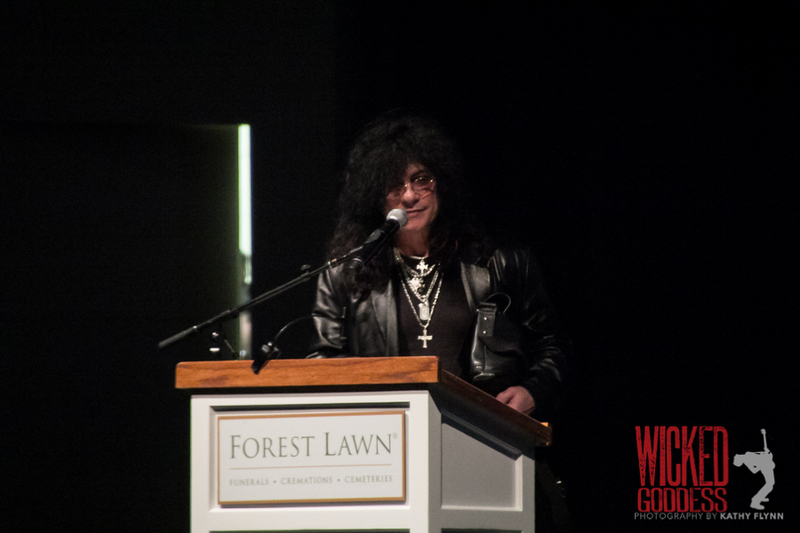 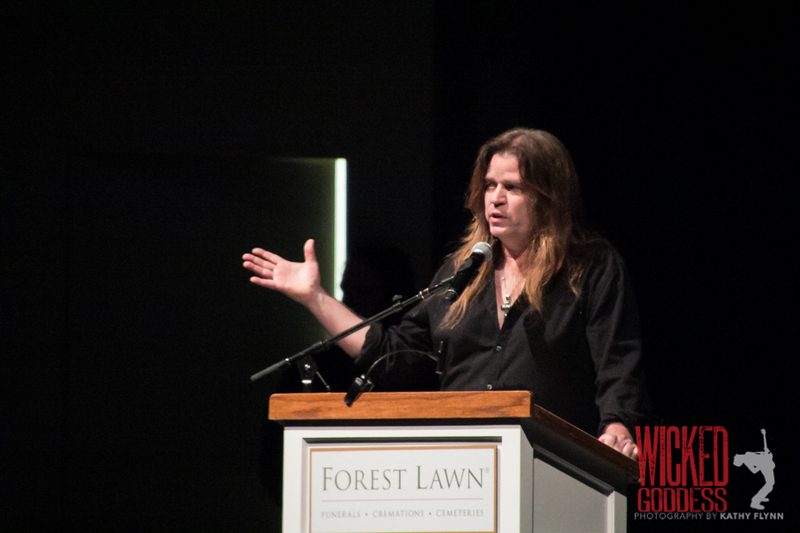 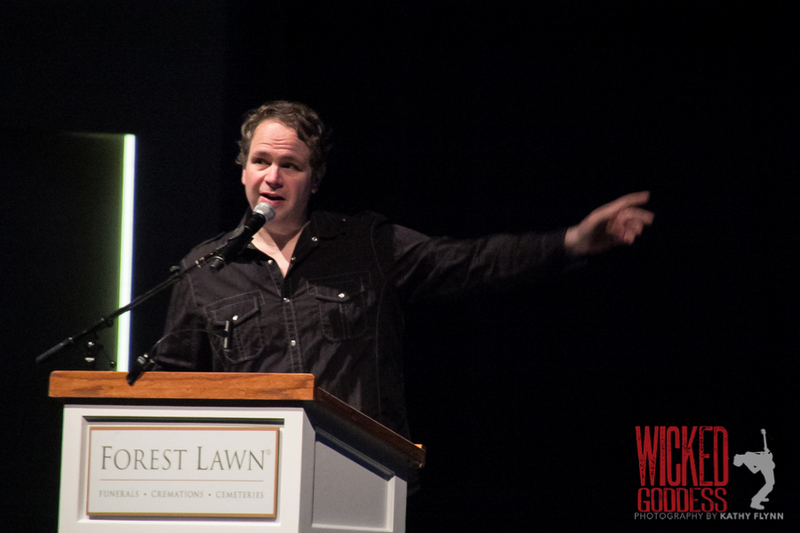 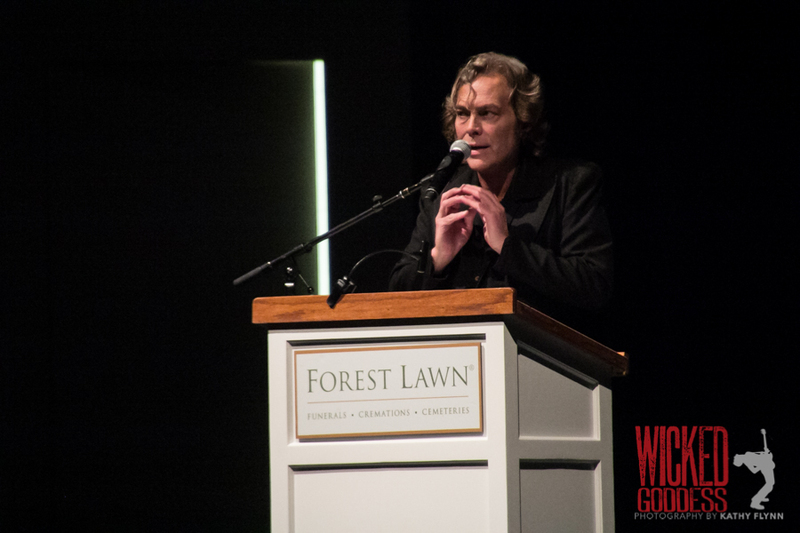 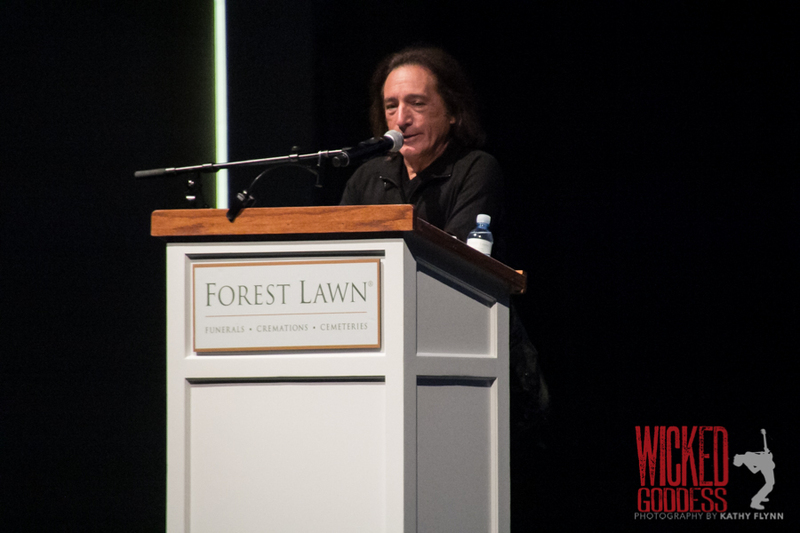 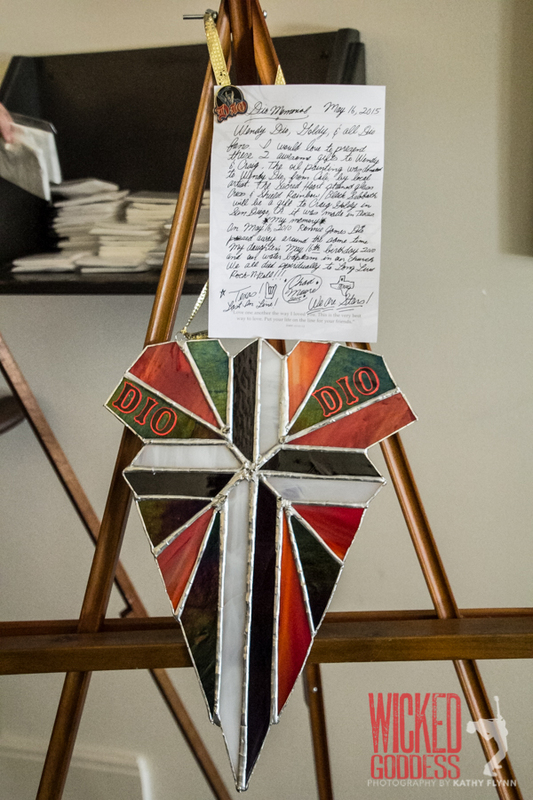 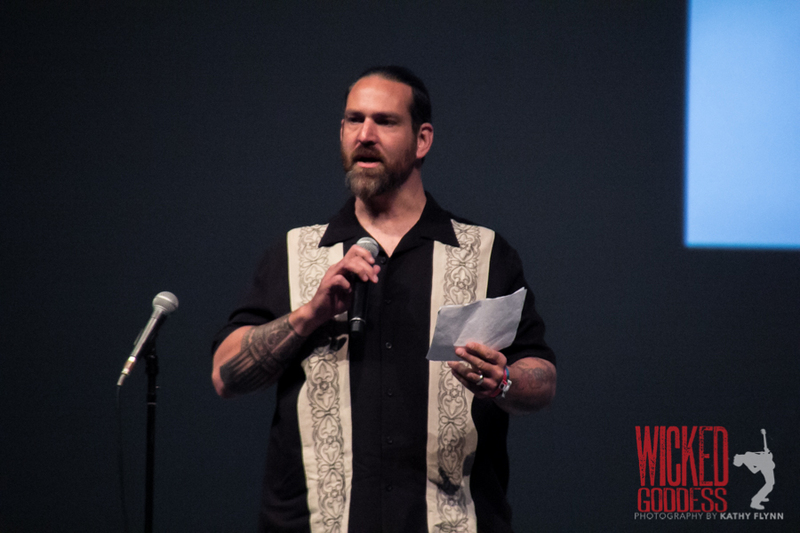 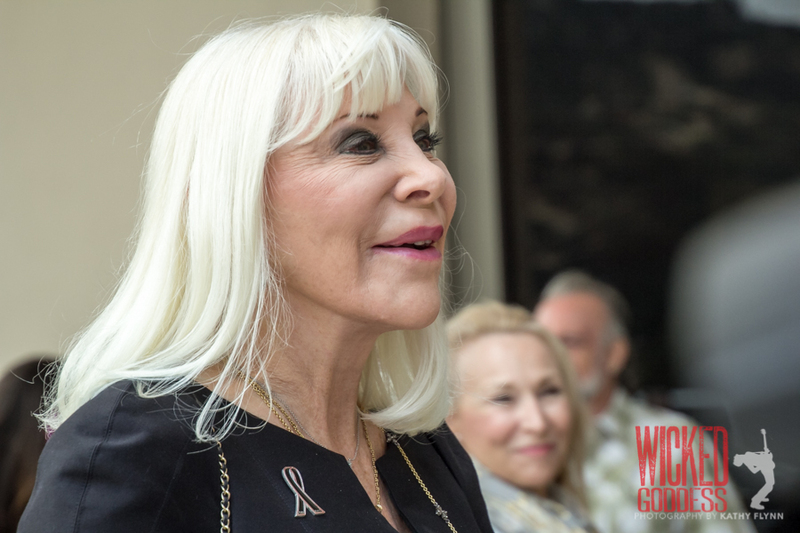 Speakers shared stories of the man and how he touched their lives between performances of all-star bands performing classic Dio songs. 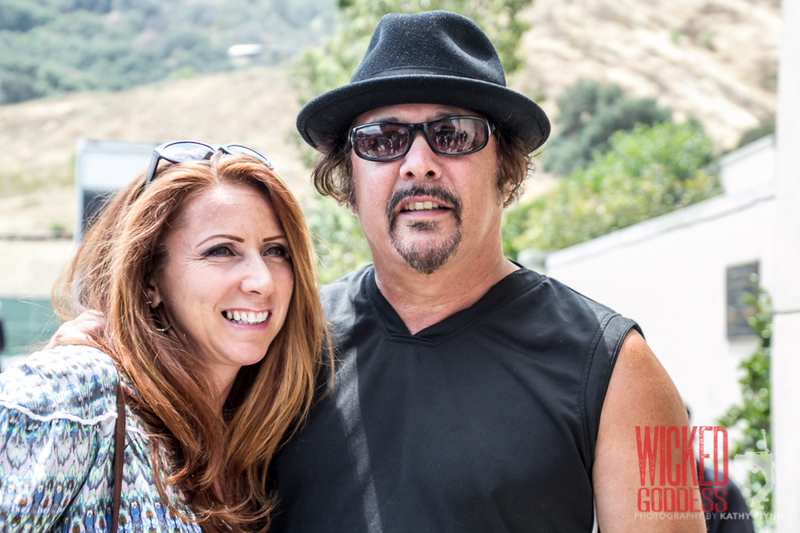 The tributes were moving and joyous, celebrating the life of a man known for his kindness and compassion. 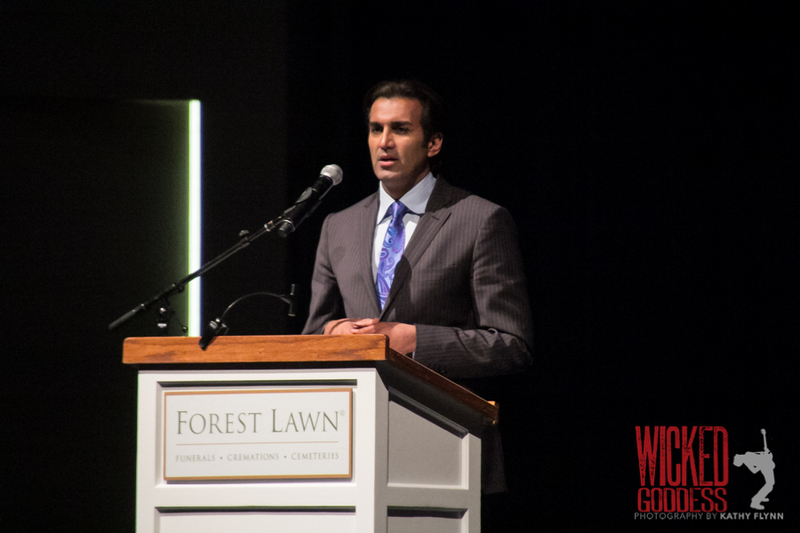 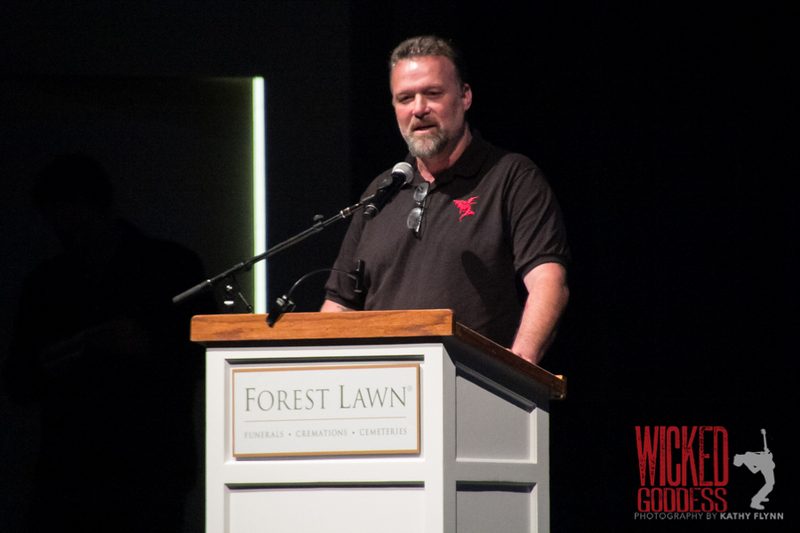 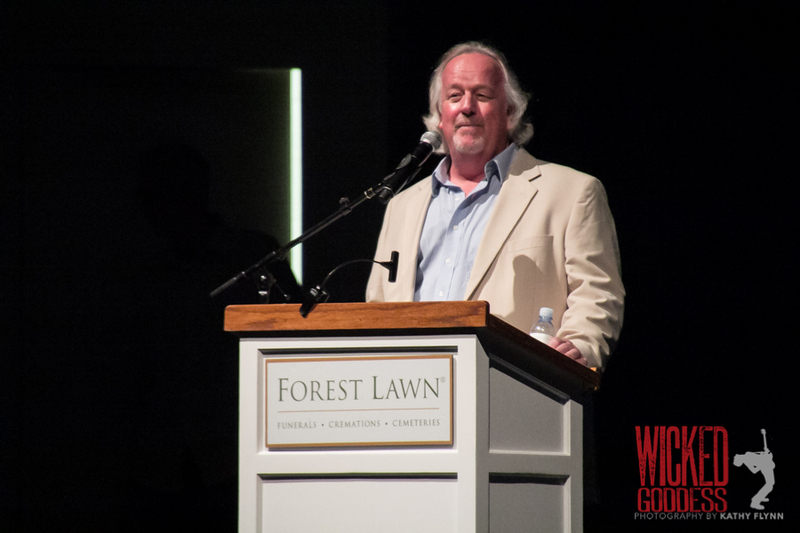 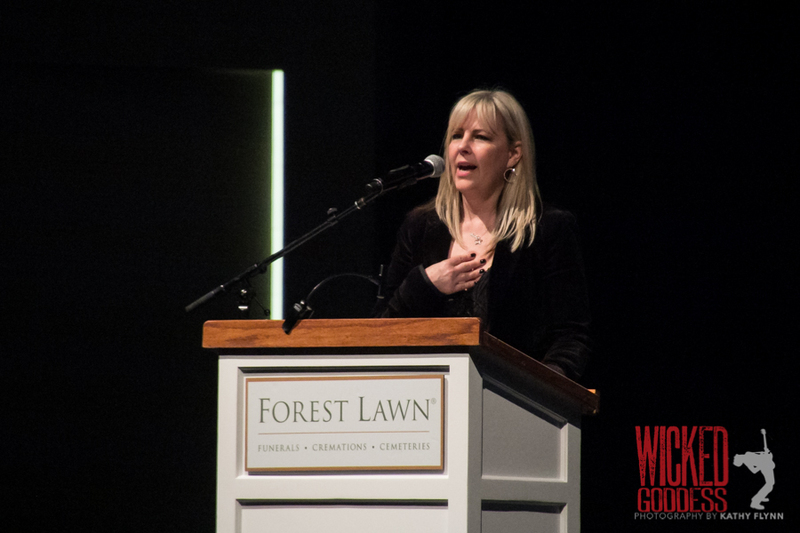 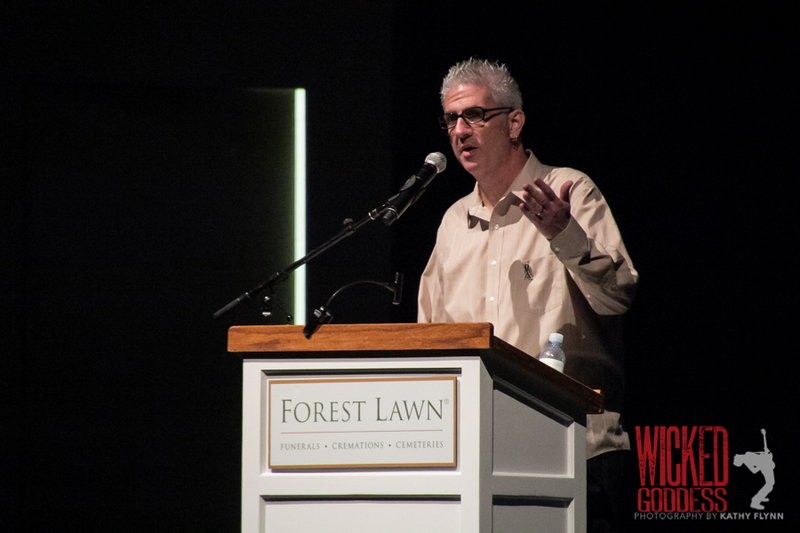 Many times over the course of the day, speakers and the audience were brought to tears. 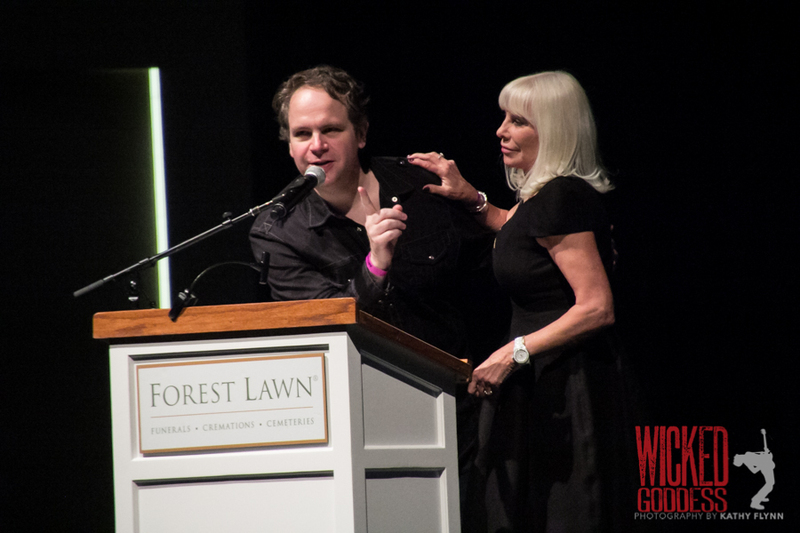 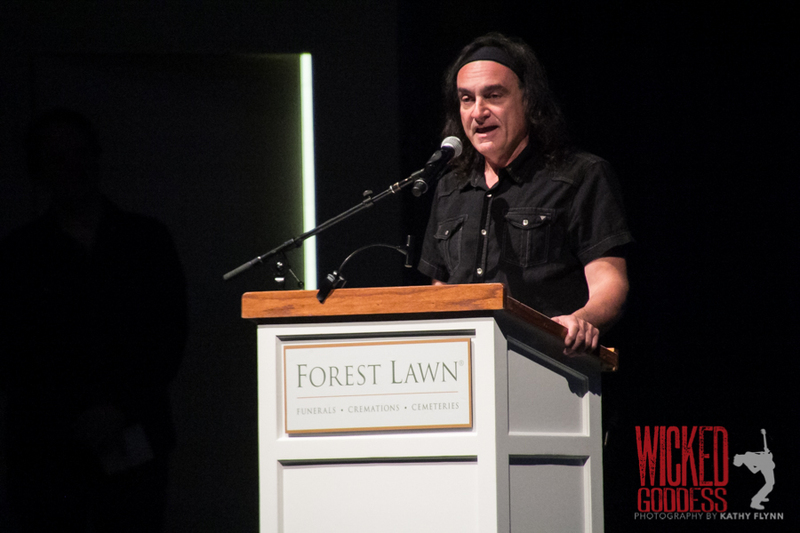 Eddie Trunk from That Metal Show hosted the ceremony, with SUAS Medical Director and Co-Founder, Dr. Sandeep Kapoor, Lita Ford, producer Wyn Davis, SUAS board members, Dean Schachtel and Sheila Melody, Rough Cutt vocalist Paul Shortino, Ronnie’s cousin and Elf band member Rock Feinstein, Vinny Appice, road manager Steve Mignardi, Dio band members Rudy Sarzo, Craig Goldy and Scott Warren, production manager “Big Scott” Sentinella, and Ronnie’s widow, Wendy Dio, paying tribute. 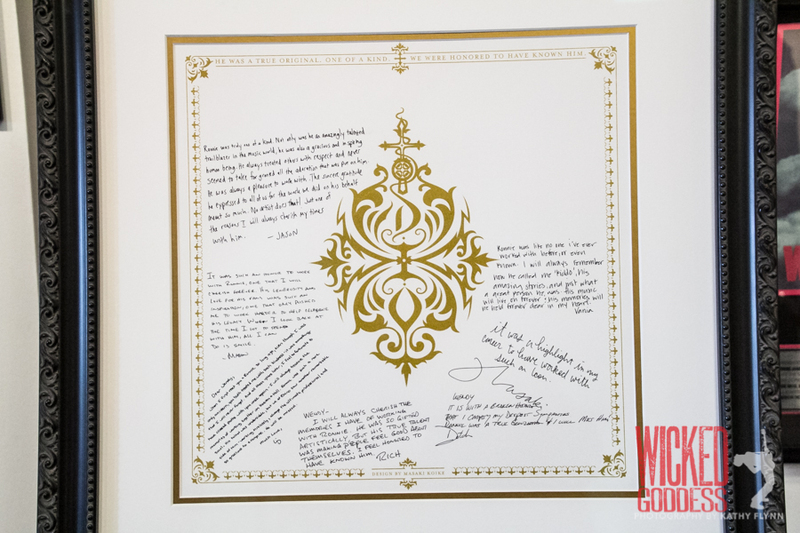 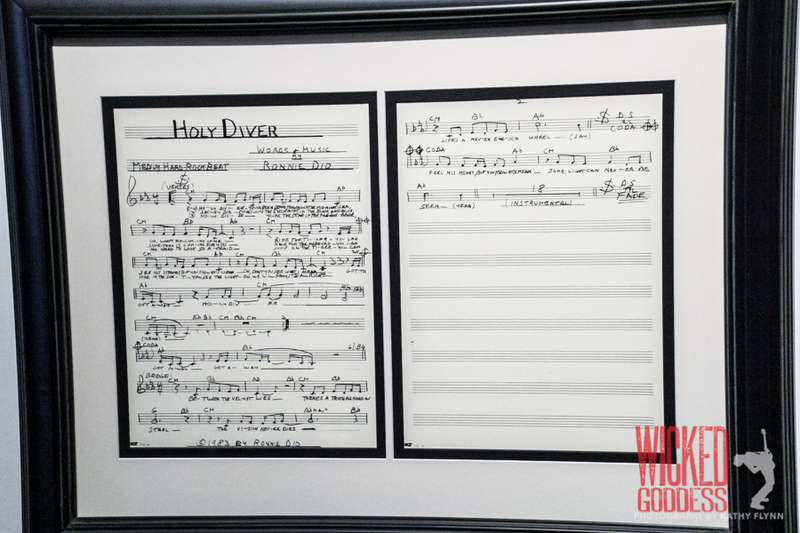 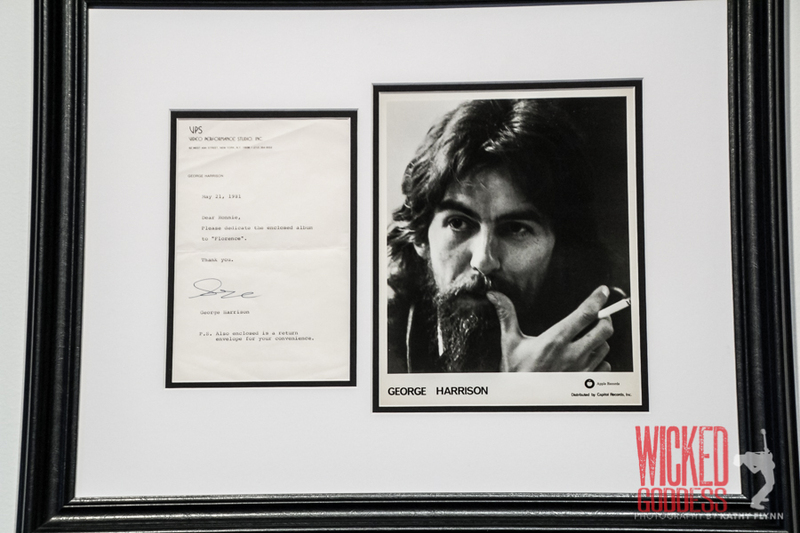 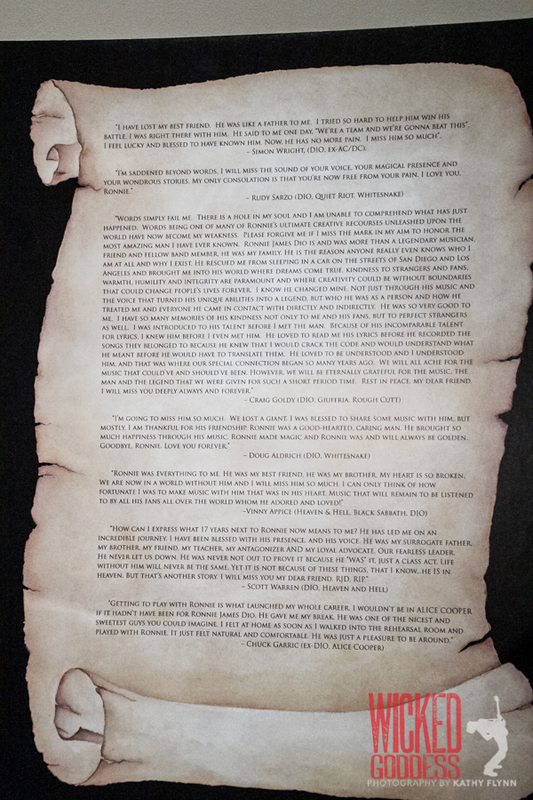 In the halls outside, Ronnie’s personal memorabilia was on display, including personal letters, photographs, and handwritten lyrics. 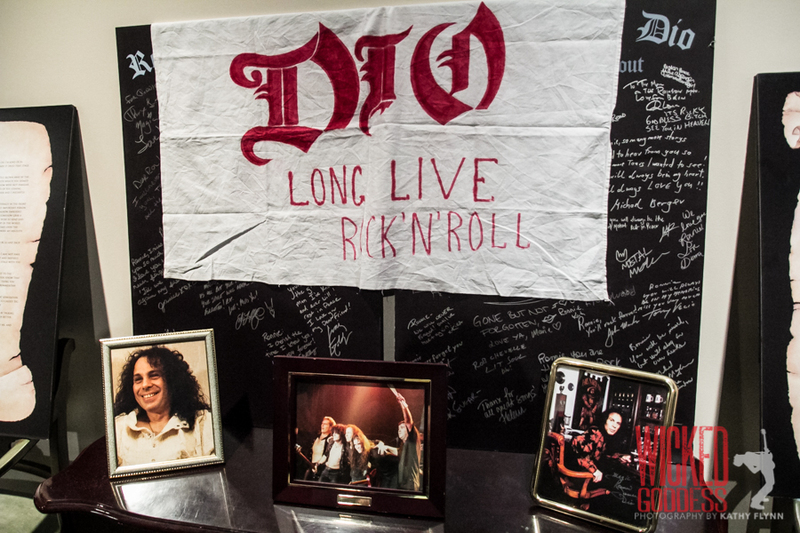 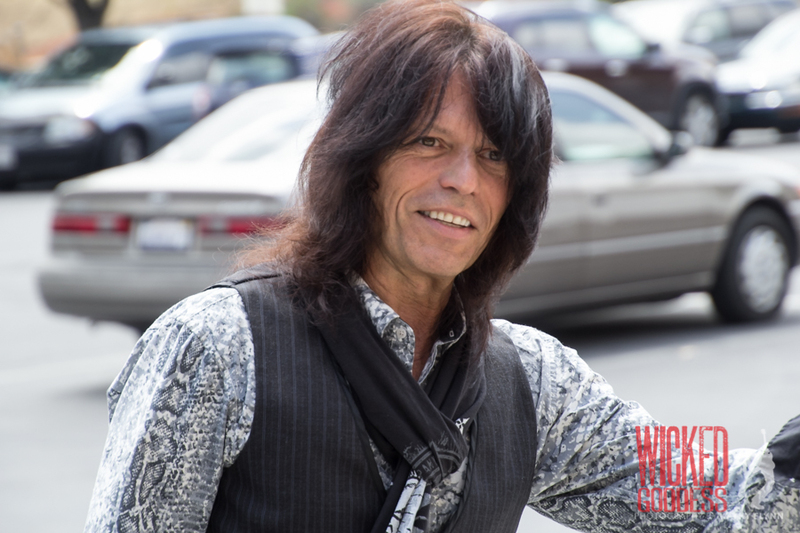 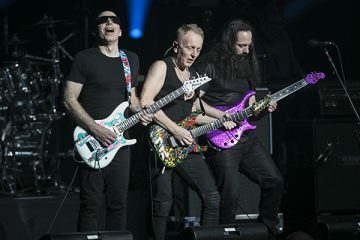 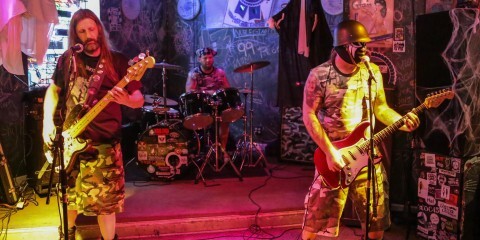 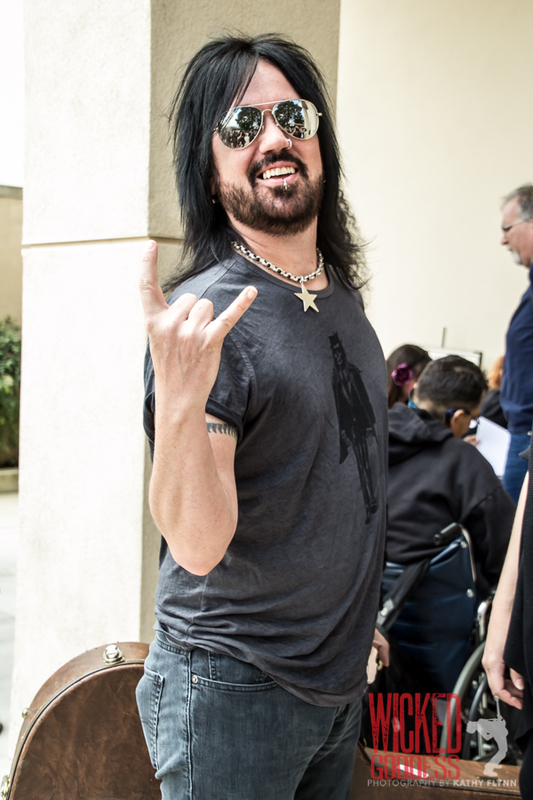 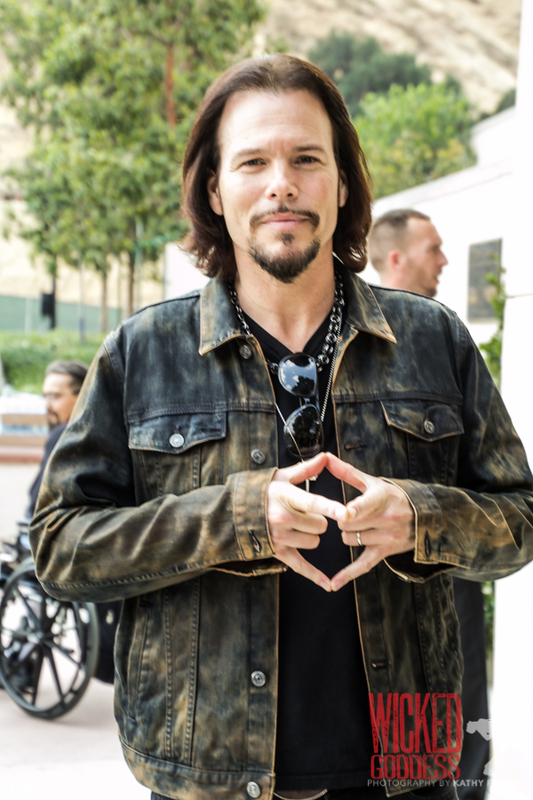 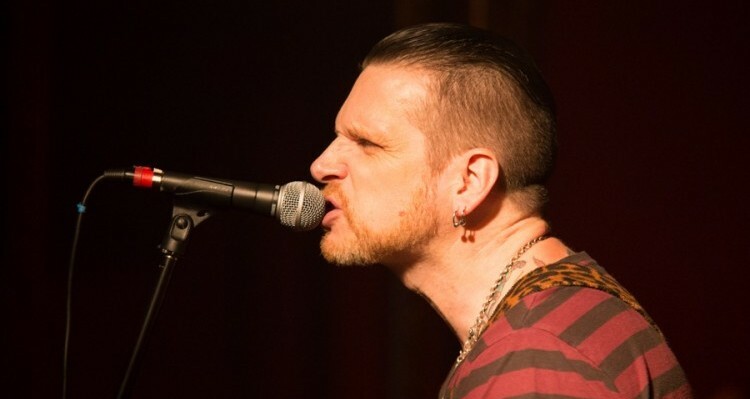 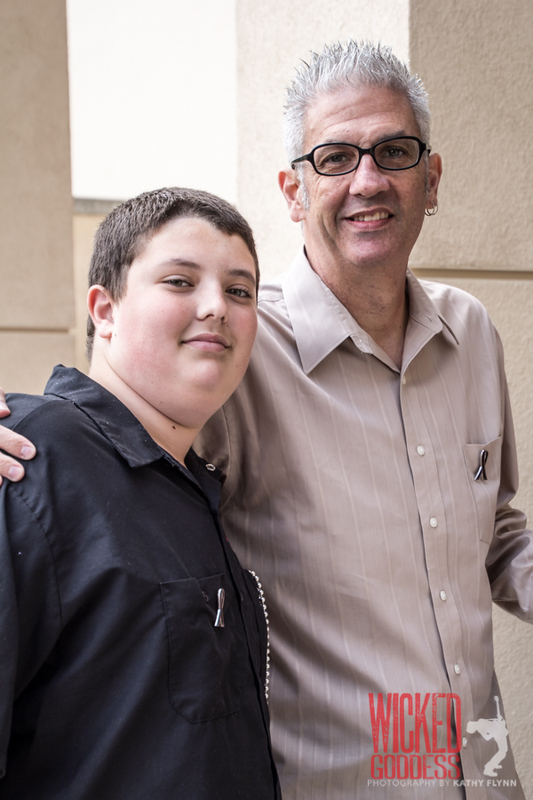 It appeared that every hard rock and heavy metal musician in Los Angeles was in attendance, based on the crowd in the foyer after the ceremony. 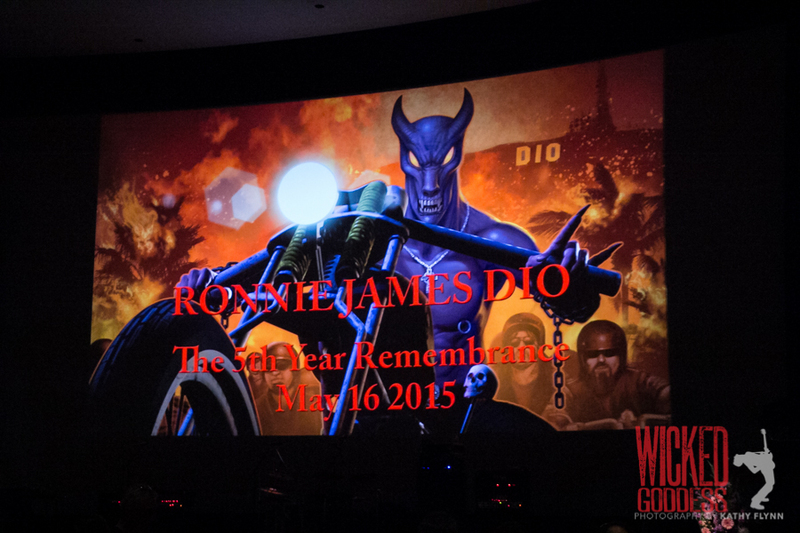 The remembrance was open to the public, with fans flying in from around the world to attend. 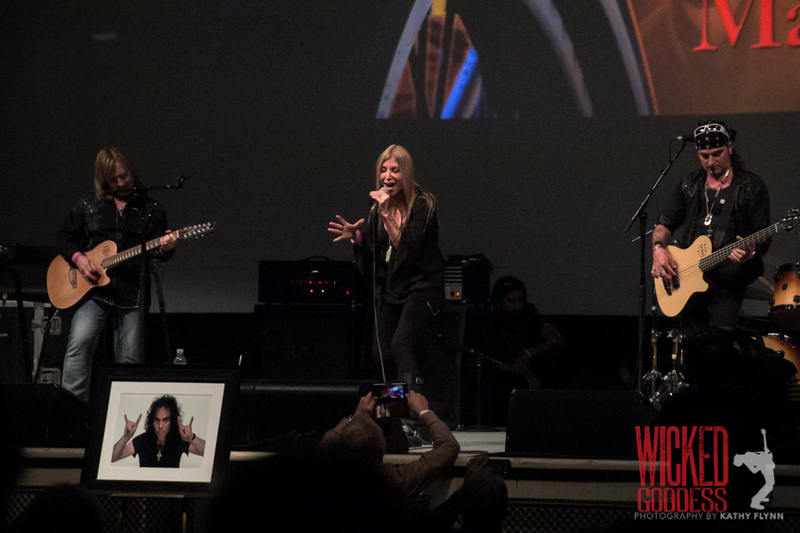 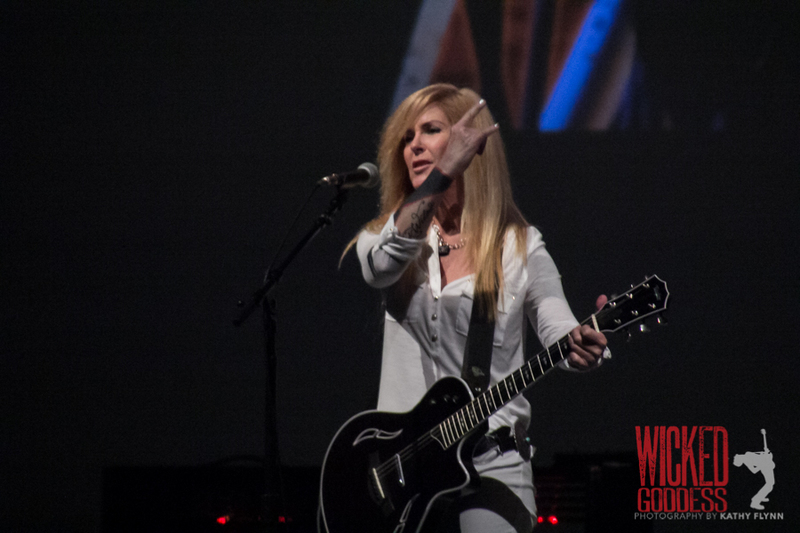 “Lisa” (acoustic) with Lita Ford, Patrick Kennison and Marty O’Brien. 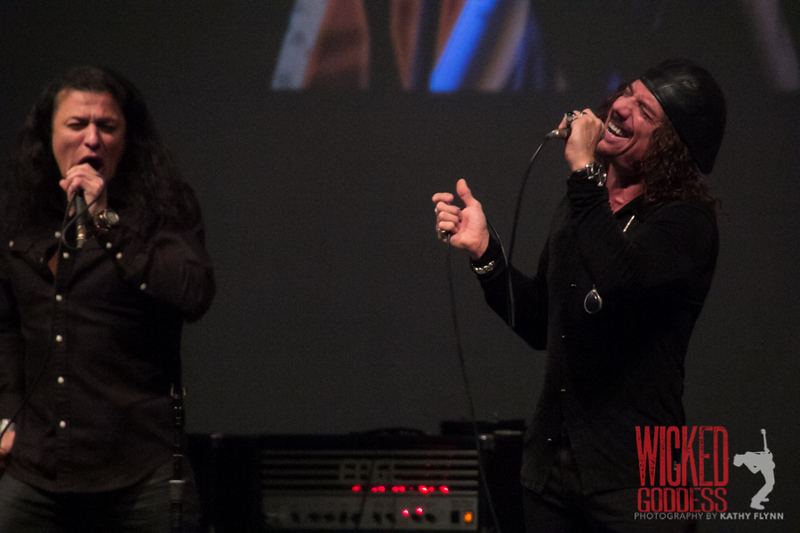 “Heaven & Hell” (acoustic) with Great White. 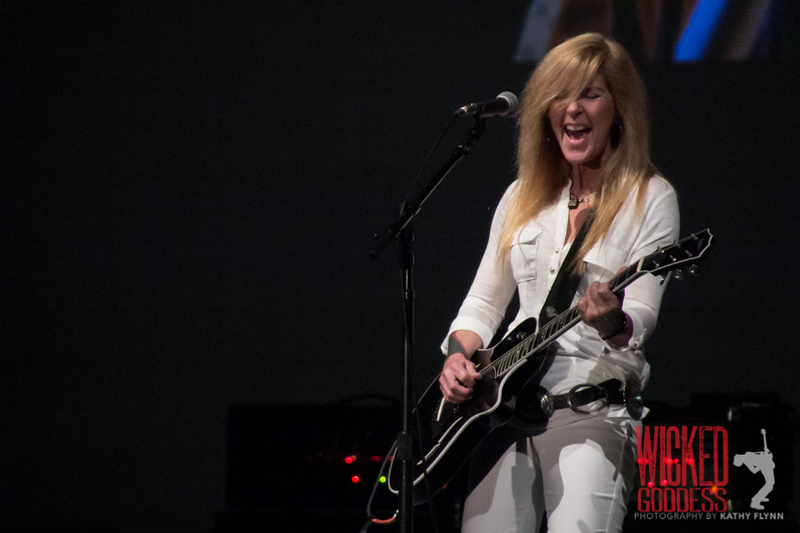 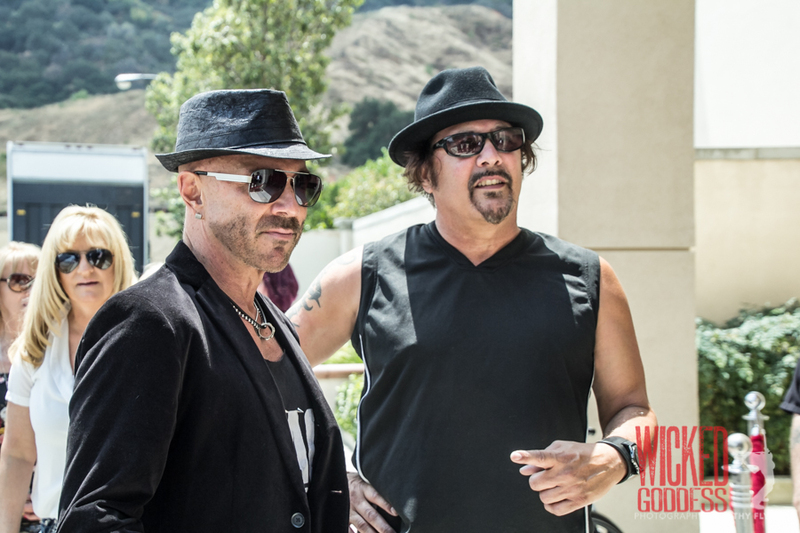 “Last in Line” (acoustic) with Lorraine Lewis and Great White. 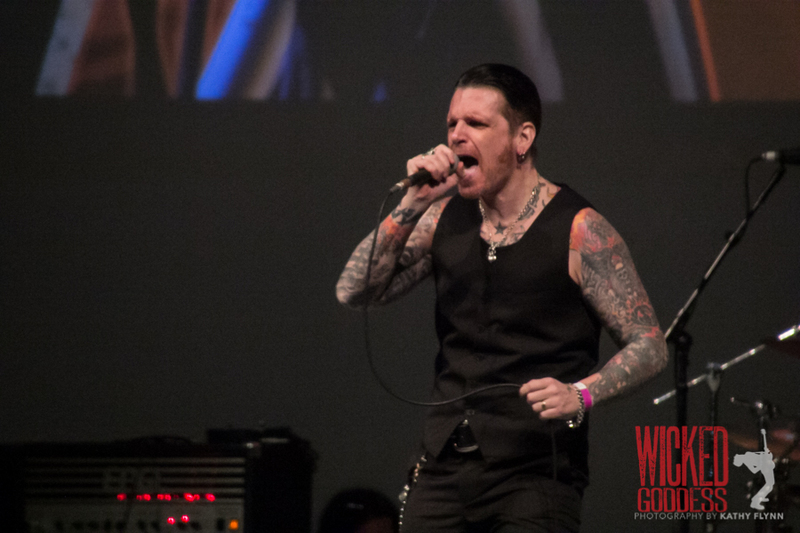 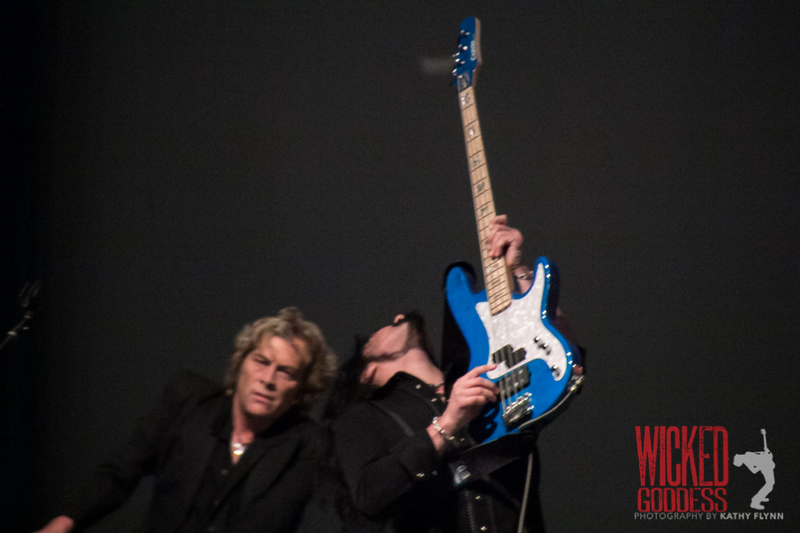 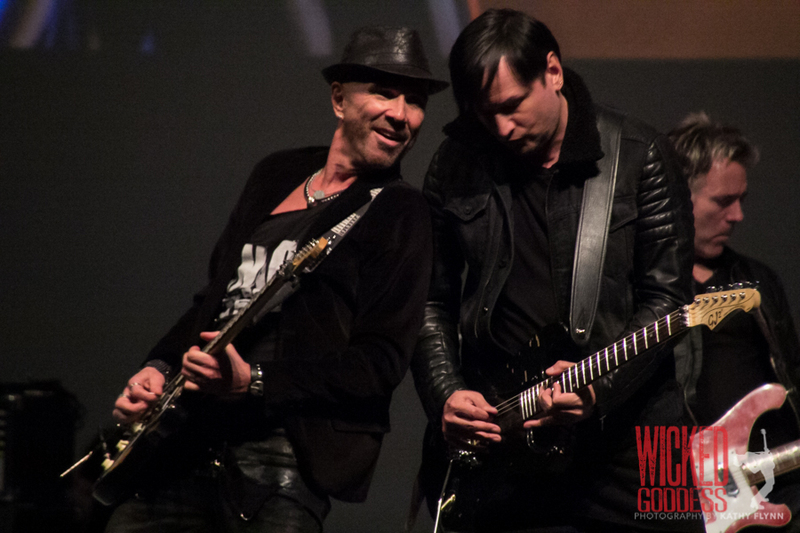 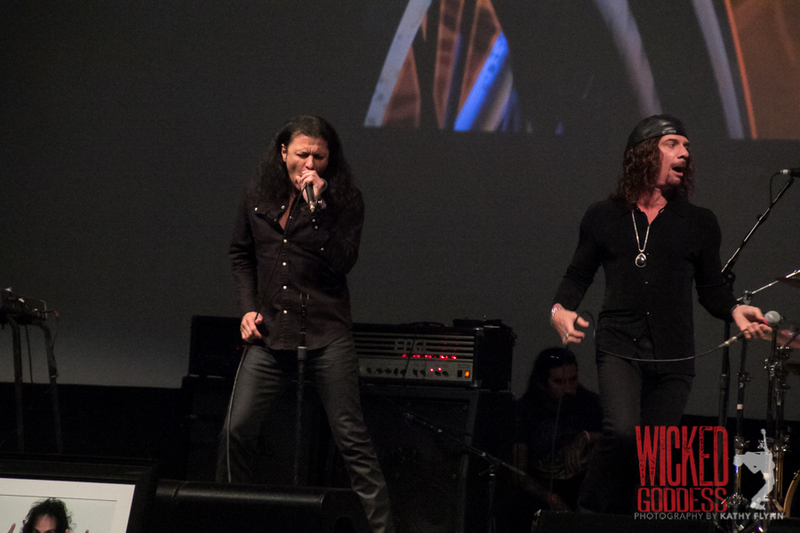 “Take Her” with Rough Cutt, which was their first original line-up performance in 15 years. 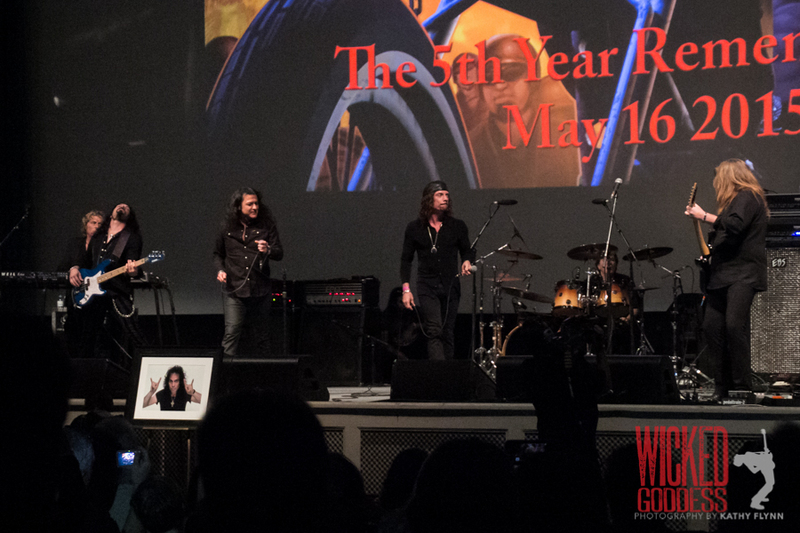 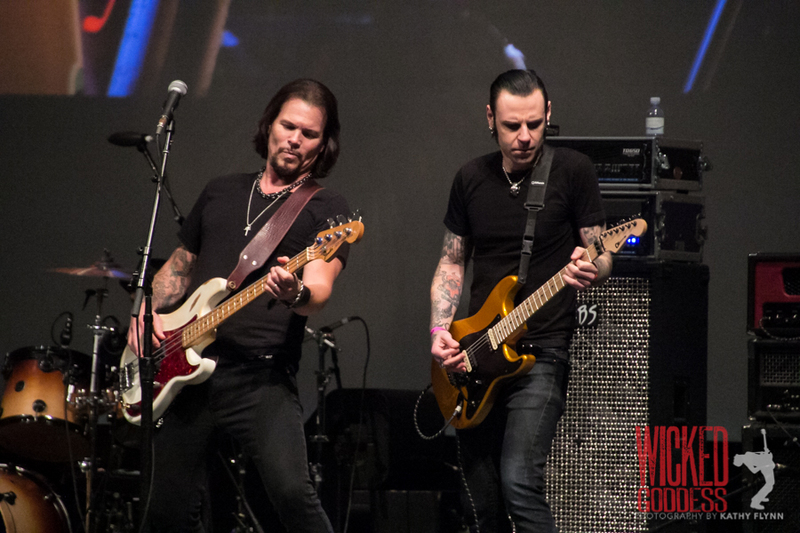 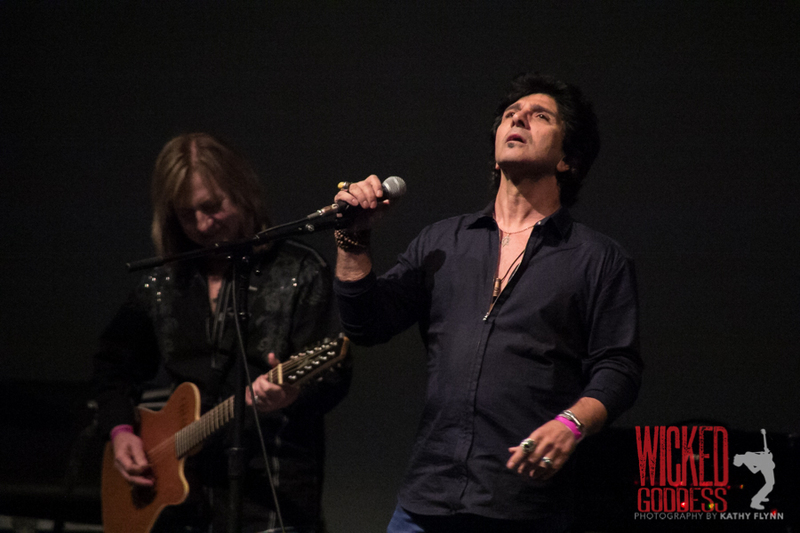 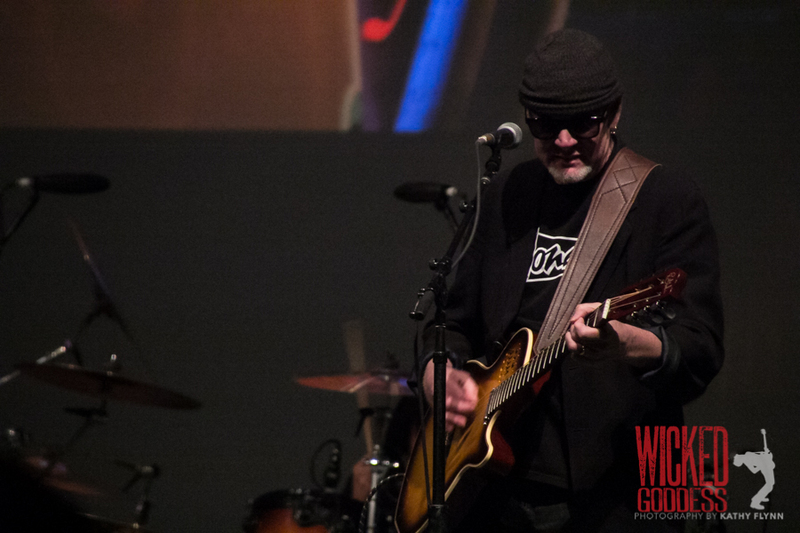 “Mistreated” with John Payne, Rock Feinstein, Christian Martucci, Sean McNabb, Roy Mayorga, and Scott Warren. 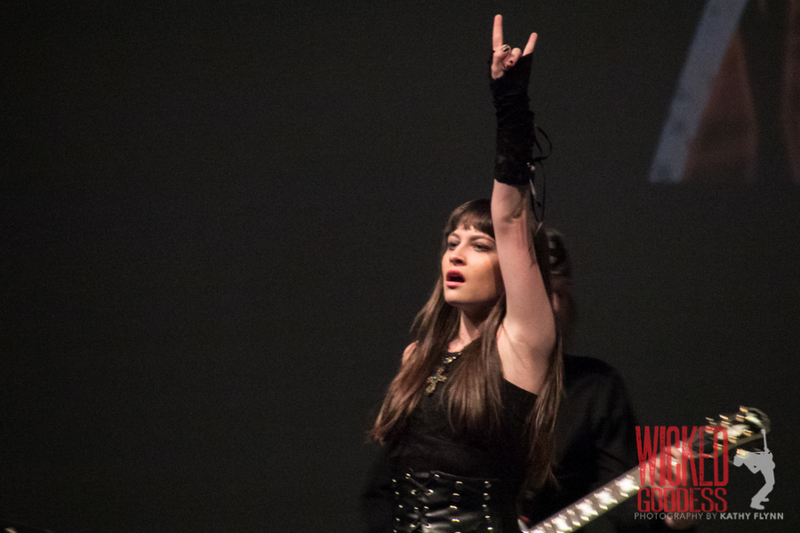 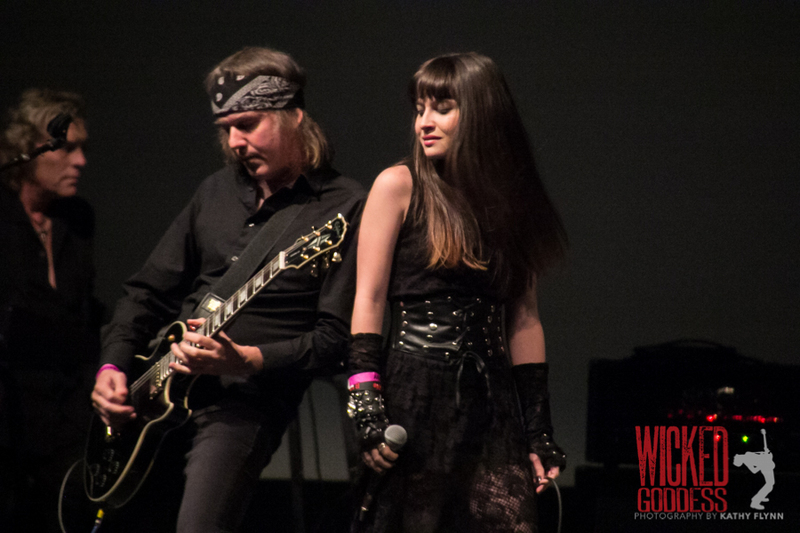 “Rainbow in the Dark” with Gabbie Rae, Rowan Robertson, Rudy Sarzo, Vinny Appice, and Scott Warren. 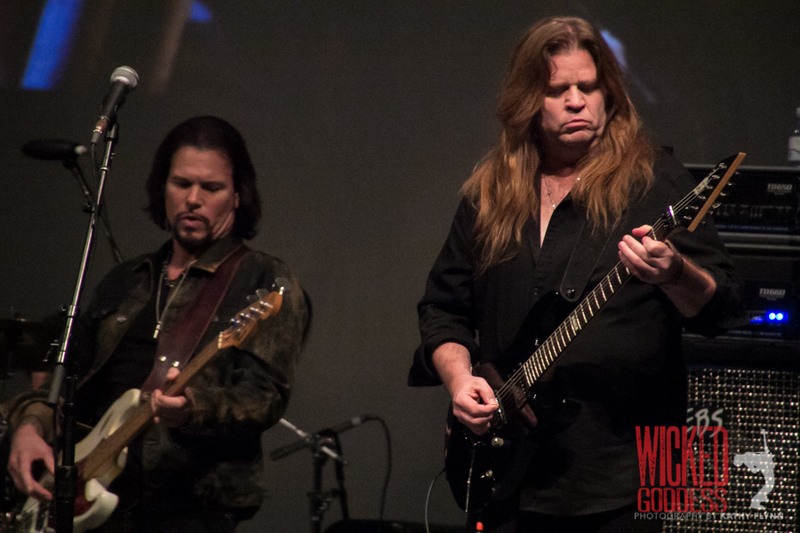 “Sign of the Southern Cross” with Ann Boleyn, Craig Goldy, Sean McNabb, Simon Wright, and Scott Warren. 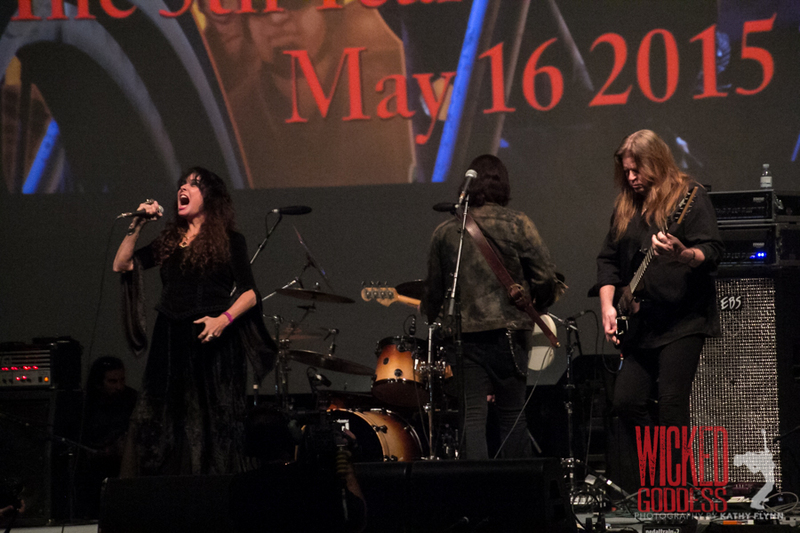 “Stargazer” with Oni Logan, Joe Retta, Craig Goldy, Bjorn Englen, Simon Wright, and Scott Warren. 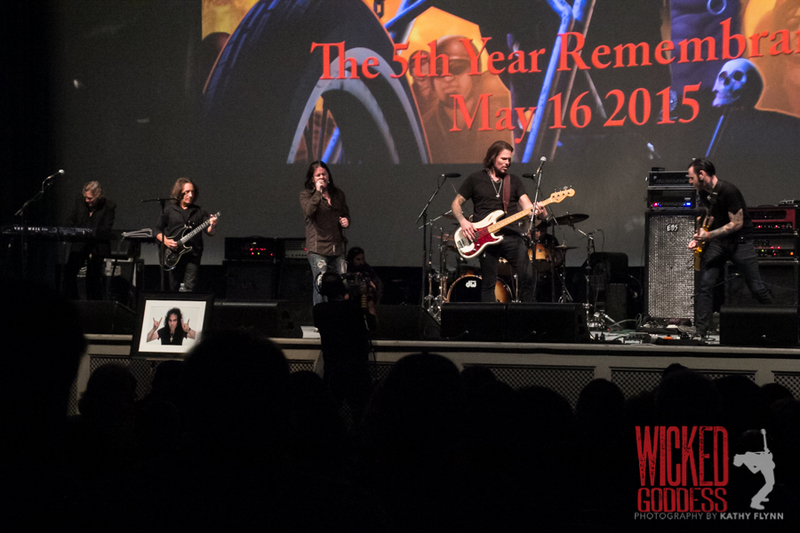 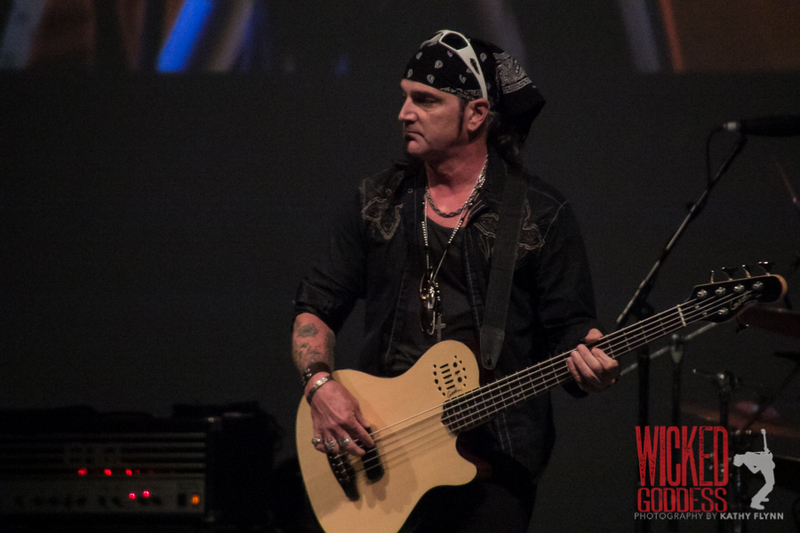 “Stand Up and Shout” with Ricky Warwick, Robbie Crane, Chris Broderick, Jimmy Bain, and Vinny Appice.